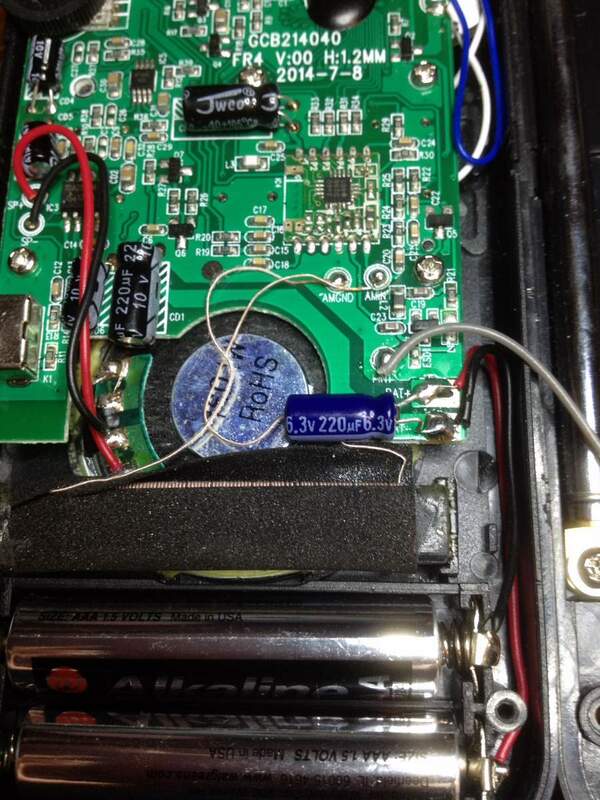 Can this radio be modified/ hacked to make the scan continuous?? I have one almost brand new and didn’t want to try to modify and ruin a perfectly great radio. I was hoping to turn it into a Spirit Box. Ghost Box if you will. Thx for your help! Hi! Just found your site while searching for “manual”/ instructions that came with the 2000669 as I’ve misplaced mine & now need to reset time & stations. Many thanks if you know of any such site. 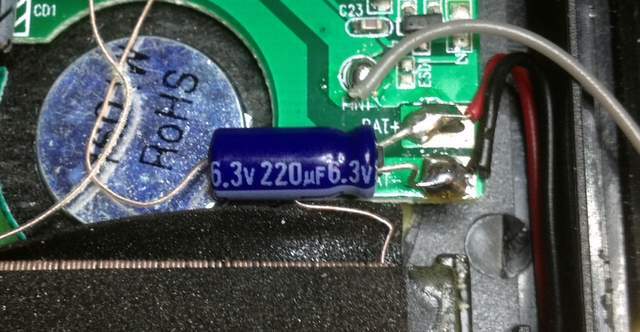 Are the values on your capacitor mod critical? For instance, would a 470Uf 16v cap work as long as it fits. I have a mini cap of this value at hand. I appreciate you posting your mod. Thanks! Follow up to my previous question. According to the owners manual of RS 200669 and my actual experience, if you replace the batteries within 10 seconds no memory is lost. If you need longer than that, then perhaps the mod will be helpful. is there possibly a way to make this model radio continuously sweep through stations, or how to modify it to do so? I second this question!! I would like to know how to modify the 2000669 to continuously scan unmuted. Thanks mike, good to now, I think I’ll keep searching for a better set, perhaps something with SSB. It’s a nice receiver, but you have to have reasonable expectations for performance. It has good (not great) sensitivity which can be helped by clipping on a wind-up wire antenna. Adjacent channel strong signal rejection is very good. I have heard domestic SW stations with it as well as Radio Australia (ABC)… even monitored a Cuban numbers station. AM and FM BCB are also good. So, it is not comparable to a $50 to $150 receiver but it is compact and useable. Nice ergonomics, too: easy to read display and large buttons. Hello, I have been reading your sight for the last few months and want to thank you for your post. It has been sometime since I have listened to shortwave, and most of my receivers have sadly been sold(except for my 4-8mhz homemade set). I am looking on how to get back into it(cheaply). 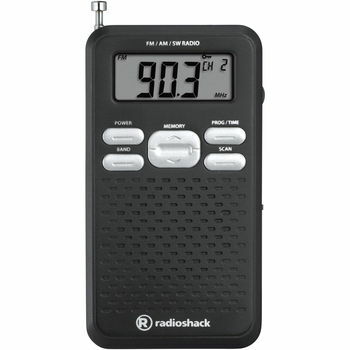 Would you recommend this radio, for cheap listening?